The countdown is on and Christmas will be here before you know it. 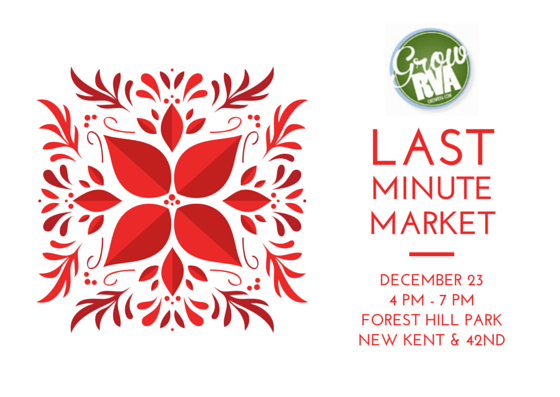 The Last Minute Holiday Market, December 23rd, 4 pm – 7 pm will help you with those last minute holiday gifts. Come to Forest Hill Park and avoid the stressful traffic jams. One stop shopping for Brunswick stew, beeswax products, jewelry, wine, sausages, meat and bread. Next Next post: Coming in May: a Sunday Brunch Farmers Market!